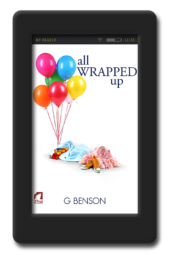 Another banger from Benson, with the same wit, humour and true to life feels as Little Moments with a matured written style and characterisation. I fall in love with her characters every time and LOVE the subtleties of her text. When’s the next one???!!! The two mains are greatly helped by secondary characters as the mains know what to do professionally but not personally, when it comes to their own relationship and feelings for each other. G Benson’s writing is masterfully good. As with All the Little Moments, Flinging It tackles heavy subject matter in a way that isn’t overwhelmingly angsty or depressing and is actually very funny at times. 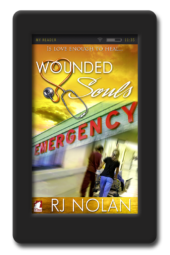 The story is well plotted, the pacing is perfect and I found myself fully invested even when I wasn’t comfortable with how Cora and Frazer were handling their relationship. I received a free copy from the author for an honest review at The Lesbian Review. I really love it, G Benson really bring you to the point where you cannot let go the book, even for required slept hours. The characters are well define, and you have the impression that you know them, which make the story even more amazing. When you get at the end of the book, you wish there was a lot more to read. I really hope G Benson will write another one soon. 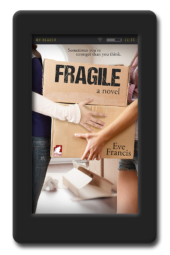 The main characters, Cora and Frazier are, by deliberate choice of the author, a tad too weak. They take a very long time to grow up until they make their relationship healthy and satisfying. As this is a brave choice, I think this story pays a certain price for choosing realism in exchange of the readers’ full satisfaction, as we readers always prefer to read about strong characters instead. For everything else, G. Benson is a really good author and “Flinging It” is well written, engaging, pleasant and even brilliant. Frazer is the head of the midwifery department in a hospital. She is desperate to start a new program that will help hard to reach and teen parents. Cora is the head of social work in the same hospital. She is married to Alec the finance “god”, in his own mind anyway. Cora’s budget has been increased so Frazer decides to see if they can work together on her project, even though she doesn’t much care for Cora. As they work together Frazer gets to know the real Cora and realizes not all is as it seems…. I really enjoyed both of these characters. Frazer is happy and full of hope. Cora is floundering in her marriage. She is full of doubts and regret but excited about the new project and her friendship with Frazer. Together they go through good times and bad then good. I loved the conflict Cora has with Alec and how she handles it in the end. The story line featuring Jack was also very well done. It deals with a whole lot of things most people would never think of. It was a life lesson that really made me think. This book is full of emotions and drama and is a very good read. I didn’t give this book 4 stars because I’ll admit I don’t agree with infidelity regardless of the circumstances. I strongly believe that you should end your relationship before starting a new one. But saying that Benson made this book work despite the contents. The two main characters Cora and Frazier actually dislike each other in the beginning. It’s not until they start working together on an out reach program do they start to like each other. Frazier is single but Cora is a married woman to their boss Alec. Her marriage isn’t happy and she is emotionally abused by her husband and made to feel worthless at times. I really liked the book. It was interesting and the outreach program was well thought out. What I can’t agree with is the deceit and deception of an affair even if the reasons for it were good. The book has a happy ending. I really didn’t like Cora’s husband he was a bit of a worm. Making idle threats. Thank god she divorced him. I would recommend this book without a second thought. 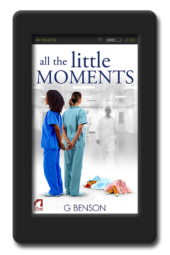 Benson has a great smooth writing style and knows how to make a good story great. Enjoy!! Trust G Benson to tackle topics outside one’s comfort zone. In “All the little moments” she wrote about grief, how to pull through, how to start again. Here, she writes about cheating. Well, before you let this one word put you off – she doesn’t glorify cheating. Neither Frazer nor Cora are notorious cheaters who step outside their steady relationships on a regular basis. Frazer’s been single for a while and Cora’s marriage has reached the make-or-break point and it doesn’t look good despite marriage counselling. And unless you are a holier-than-thou person who will not accept human weakness, you will understand that sometimes something just happens, despite one’s best intentions. And so it happens, and Frazer and Cora are having themselves an affair, a fling. Or so they think. And Benson drags us through their shared, stolen moments of joy and bliss, and she drags us through their doubts and knowing-it’s-not-really-right. She makes them come alive and turns them into living, breathing beings who so desperately want to be happy, preferably together, but they know this can’t go on and they both try so hard to be responsible adults and not hurt those outside their little fling bubble. Also, there’s Jemma, Frazer’s hilarious baby sister. She was such fun to read about and I’d love to hear more from her. 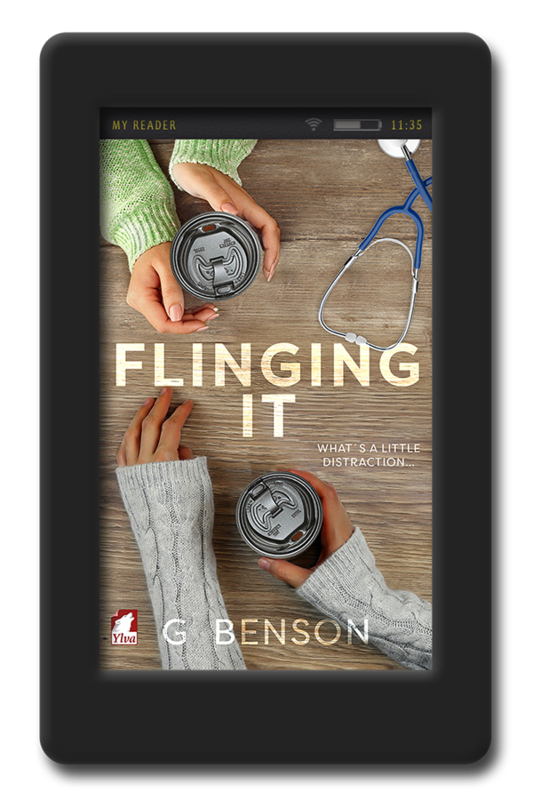 G Benson’s a very good storyteller and I look forward to reading much more from her. It’s not her fault that I couldn’t warm up to her two main characters – can’t love them all – but I so loved Jack and Jemma. So, four out of five stars and a clear reading recommendation.